Fill out this form and one of our friendly team members will get back in touch with you shortly. Our installers are trained and experienced. Our installation methods meet the highest requirements of the industry. The products we supply are chosen from the best that are available. We constantly research the latest advances in technology and materials to maintain high levels of quality and performance. Gutters Unlimited LLC stands behind every one of its products and services. Warranty period starts from date of original installation. During warranty period, should the product fail to perform to our specifications due to defective installation, we will bring the workmanship up to our professional standards. Some limitations apply, please see below. c.) Upon acts of nature, including but not limited to wind, hurricane, tornado, fire, flood or ice. d.) If any damage is caused by persons. e.) If the roof is replaced after the original installation. f.) If proper maintenance is not performed. 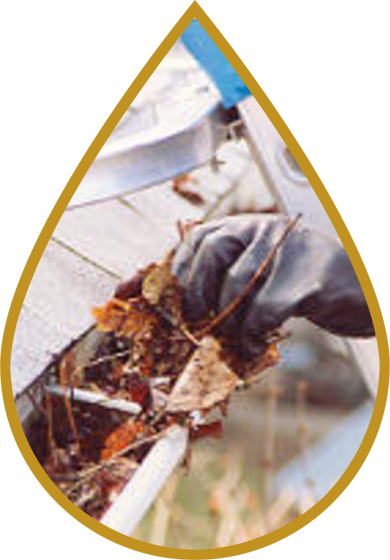 Warranty only covers work originally completed by Gutters Unlimited. If we are contracted to repair an existing gutter, it is not covered under warranty, including but not limited to: resealing leaks, reinstalling fallen gutters, adding hangers, and repitching. Gutters Unlimited will not be held responsible for any hardware, fixtures, electronics or electrical wiring that may be damaged during installation. Environment and age causes deterioration/corrosion and we recommend replacing fragile items or arranging to have them removed prior. We accept contracts in full verbal commitment or written consent from the owner of the property or property manager. Gutters Unlimited will follow through as final contract is discussed. Contract may become void under reasonable statement. Owner or property manager must submit written cancellation prior to installation. Scope of work may change if unforeseen damage is discovered during installation. Pricing will be discussed with the property owner or property manager before additional work is done. Payments are due on the date of completion. All discounts offered under the terms discussed are void if not paid on the day of completion. If paying with a credit card, a 3% processing fee will be applied. Accounts 30 days past due are subject to a finance charge of 3% per month. Great Company, they did more than required. Very professional. I’d definitely recommend them. Reasonable, prompt and courteous. I would recommend Gutters Unlimited to my neighbors and friends. Gutters unlimited are AWESOME!!! They came out when they said they would and were very thorough. I had gotten 3 estimates and their price was the best!!!!! I had work done at our Panera Bread at The Avenues in Viera. The gualty and workmanship was exactly what we were looking for. The job was done and finished when promised. We would call them again when needed. Can’t go wrong with this group. Gutters Unlimited did an excellent job. We were very happy with their service and would recommend them to anyone requiring their services. We would certainly use them again. Fast service, reasonable prices and flawless execution! Great company. I can’t tell you how great this company is! They helped me out of a difficult insurance situation and did an awesome job on my house. The fascia, soffit and gutters are beautiful. Very professional, very caring about the job they do and very caring about their clients! Can’t recommend them highly enough! We were in major need of new gutters. Gutters Unlimited did a great job. Very friendly employees worked diligently and had our new gutters installed in just a few hours. Extremely pleased with our entire experience with them. Would recommend them to anyone needing this type of service in Brevard! Jamie and Murphy Gutter truck 4 with Gutters Unlimited did a fantastic job on putting up our new gutters! Highly recommend Gutters Unlimited. Thanks guys! Our new gutters look perfect! They were quick and the price was very fair! I highly recommend. Highly recommend. Prices are very competitive, the quality of work is exceptional, and the people are highly skilled and friendly. They show up when scheduled and complete the work on time.